Buy any product from Aviram Dayan Production and get 10% off for any product from DreaMelodiC Sound - Use Code: More-10-Off-DM-Sound. 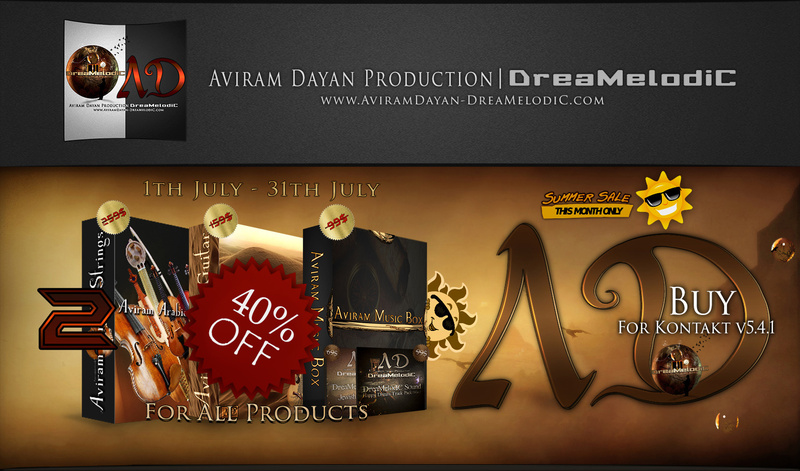 Buy bundle from Aviram Dayan Production and get 1 free product from any DreaMelodiC Sound that you choose. For 3 products separately - Coupon Code: Free-Prod-DM-Sound. For bundle - Coupon Code: Free-Prod-DM-Sound-2. 10% off for all products from Aviram Dayan Production.